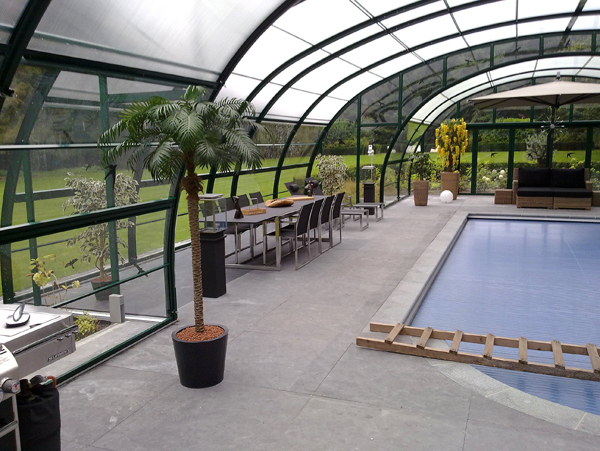 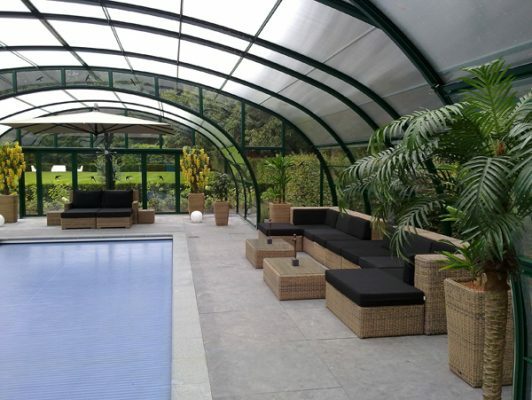 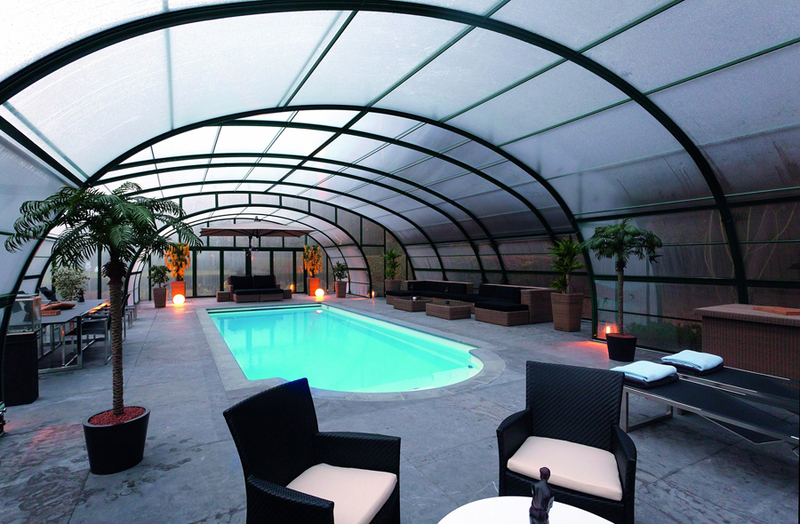 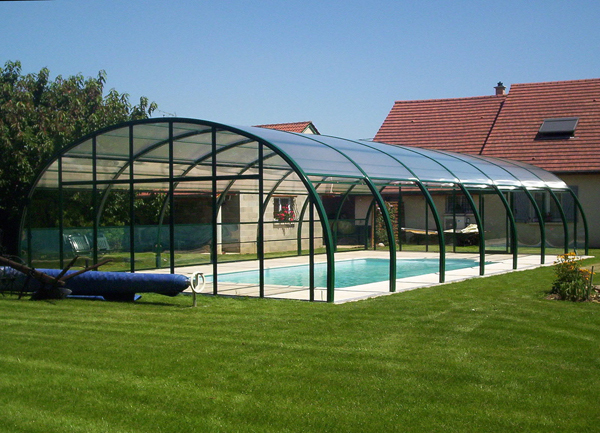 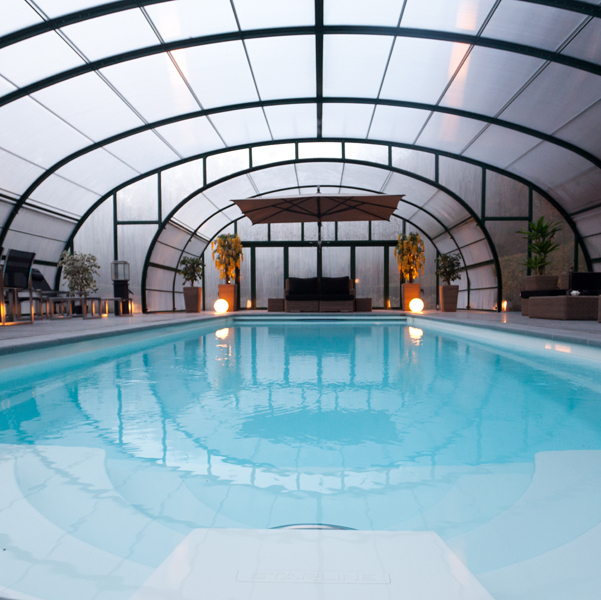 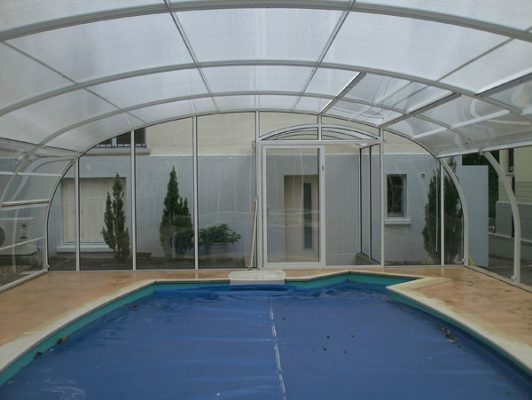 The swimming pool enclosure system offers infinite opportunities bringing an outdoor environment indoors. 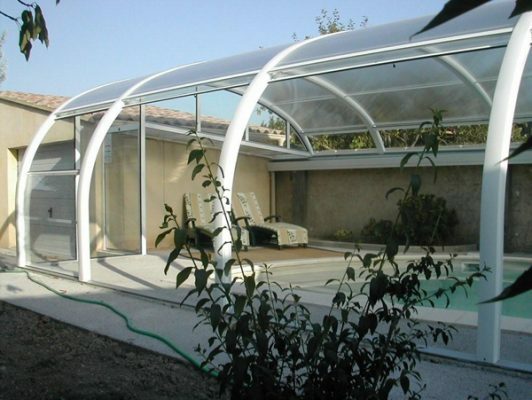 This great advantage of this flexible pool enclosure design is in its versatility to offer an open-to-the-garden option for those hot summer days. 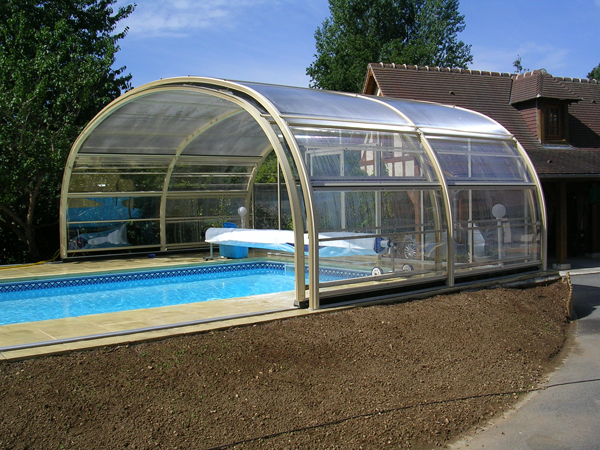 In all the swimming pool enclosure styles the crystal clear windows on both sides of the pool enclosure, open and slide up into the roof. 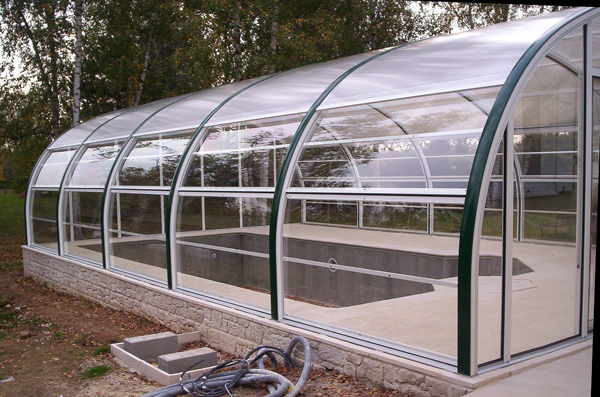 Each window is 6’6” wide and 6’6” high and when open gives unimpeded access to the garden. 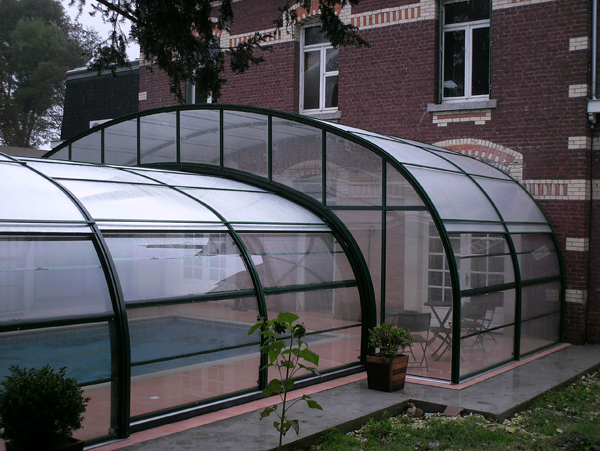 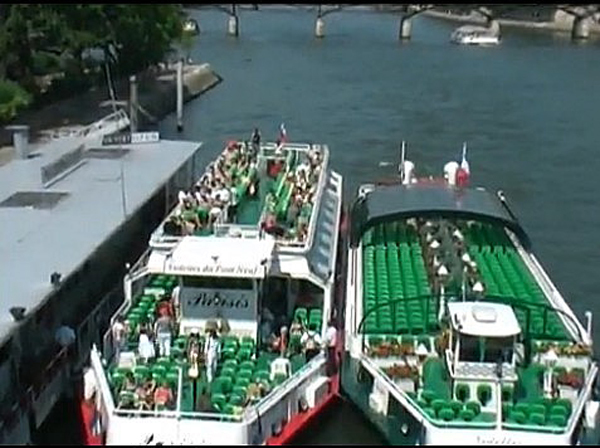 Improved safety and security because the Polycarbonate windows are 200 times stronger than glass to impact breakage. 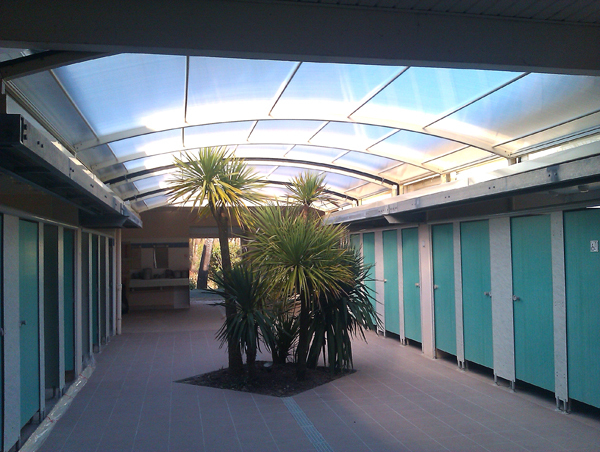 Maintenance of the pool enclosure building is minimal, needing the occasional wash down with a water jet. 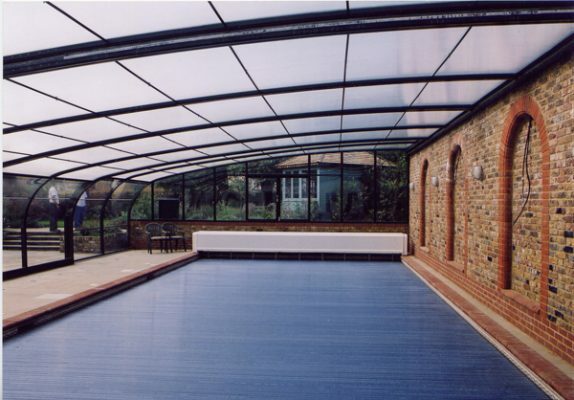 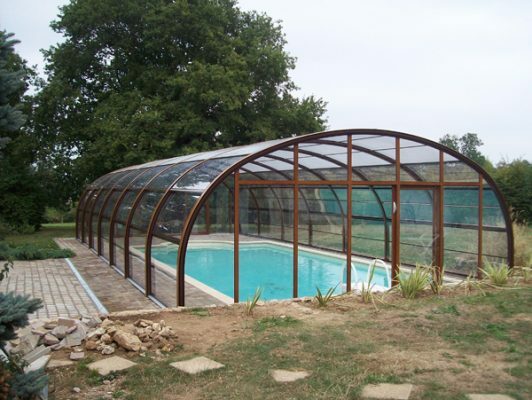 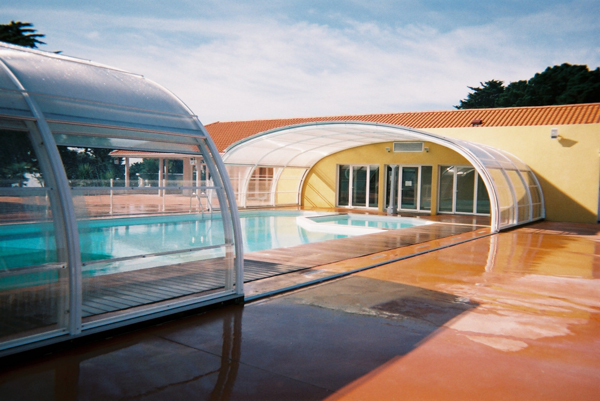 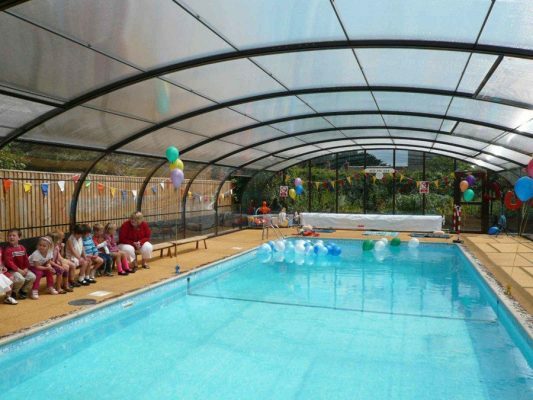 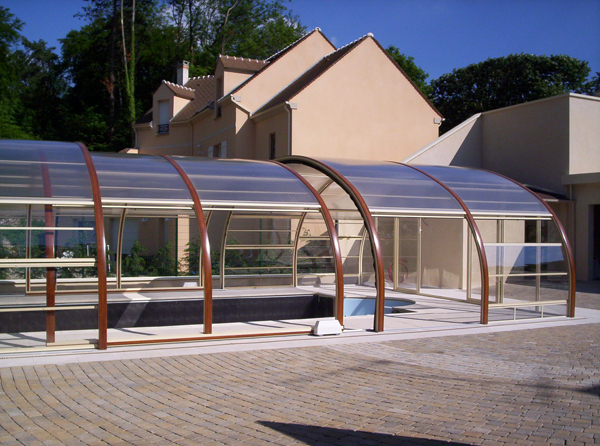 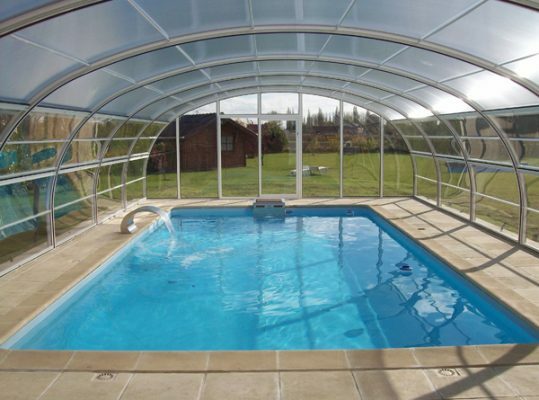 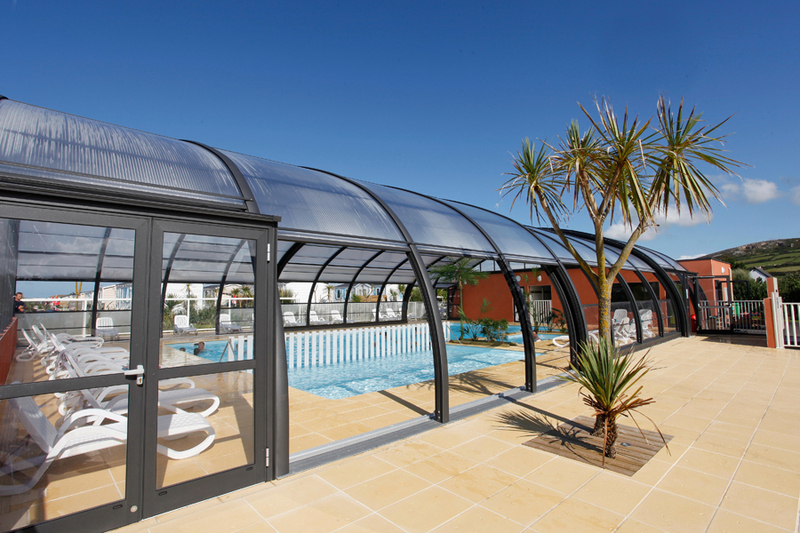 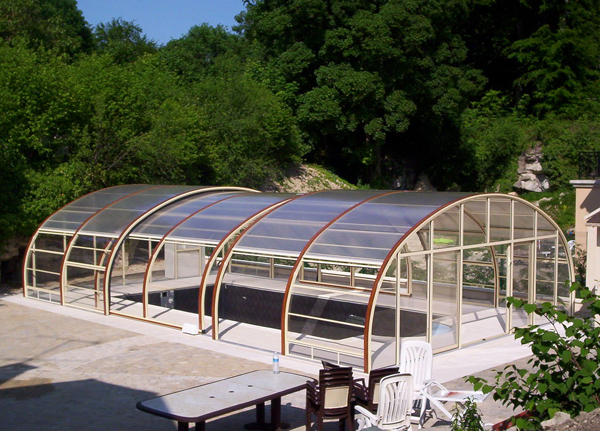 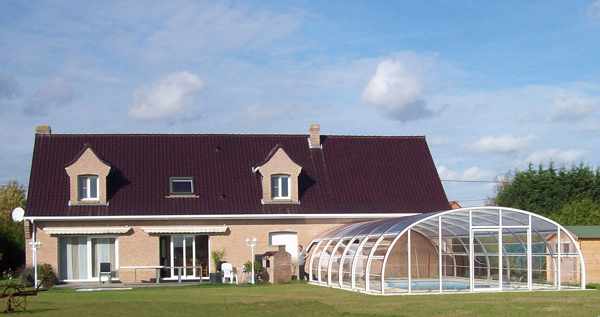 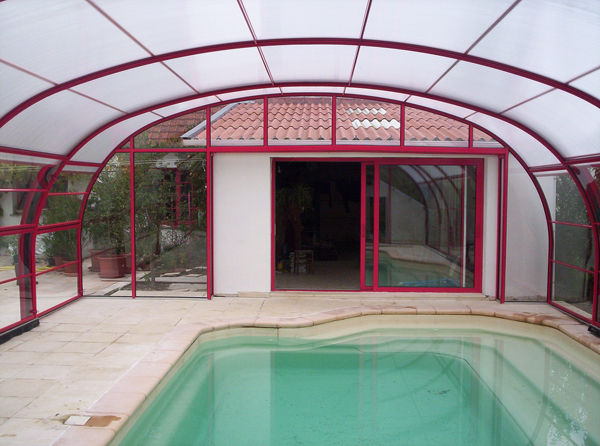 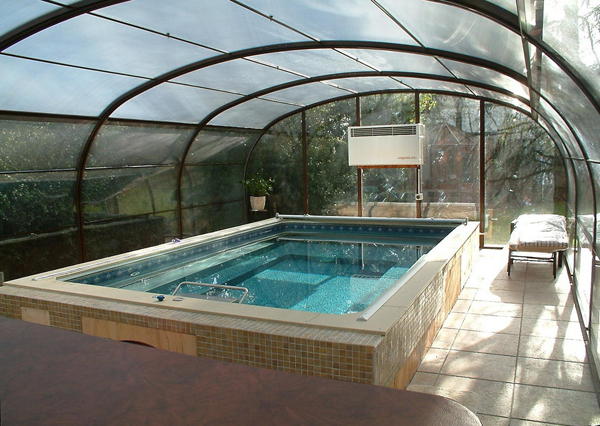 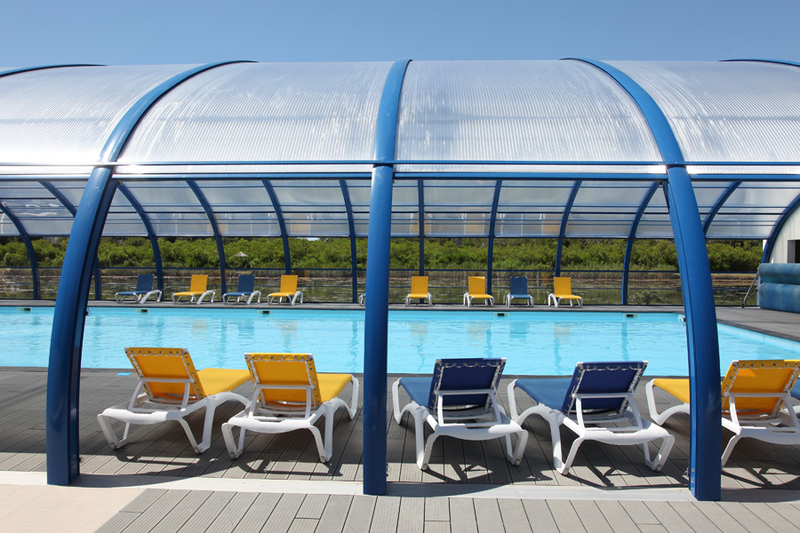 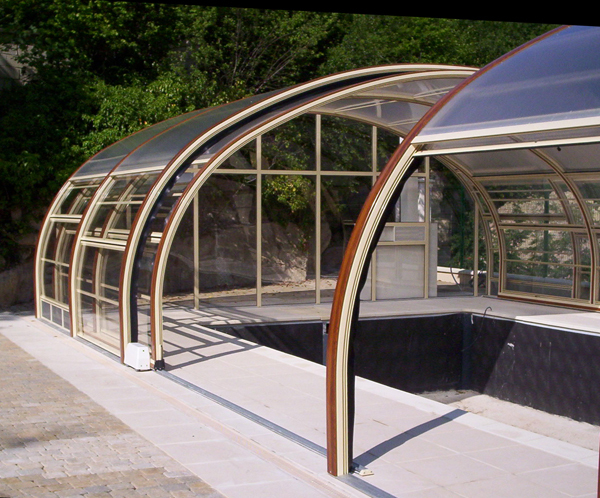 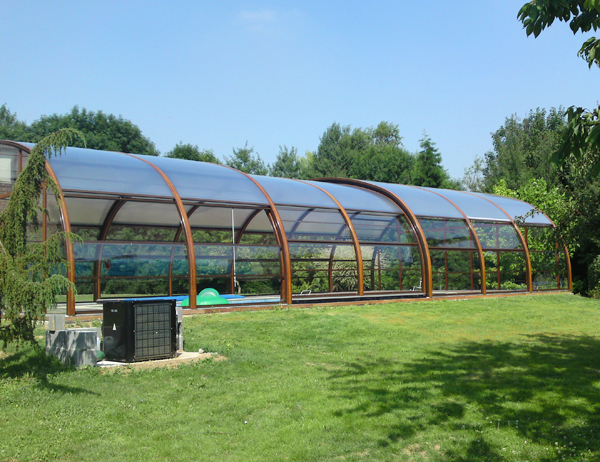 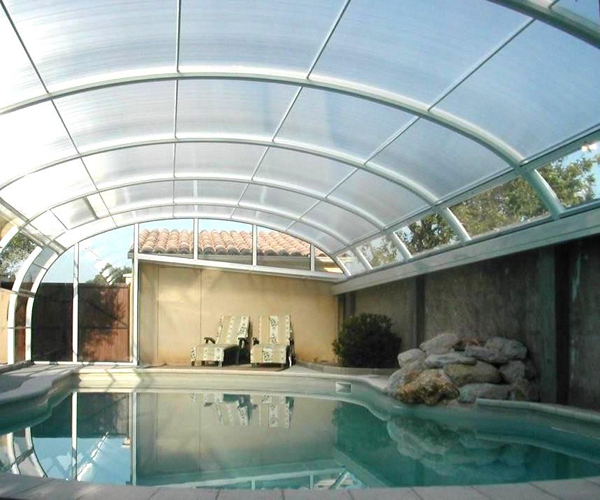 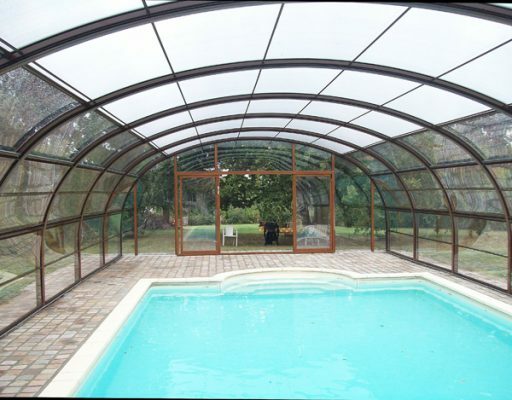 Multi wall polycarbonate insulates the roof area of the pool enclosure greatly reducing heat loss on colder days and providing free heat through solar gain even on dull days. 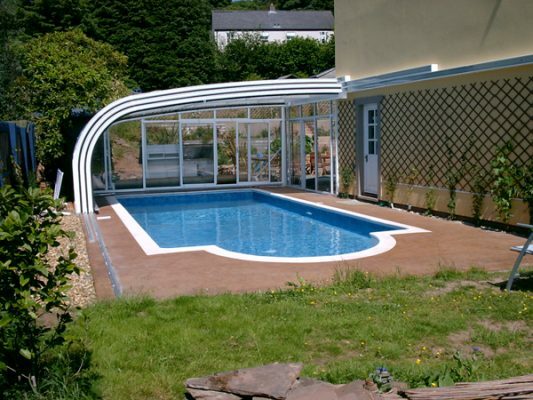 The architectural materials used in our swimming pool enclosuresare strong and rigid and time proven, each component meets and often exceeds British and EU specifications. 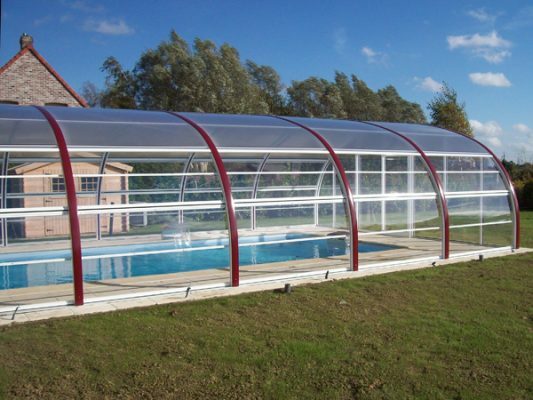 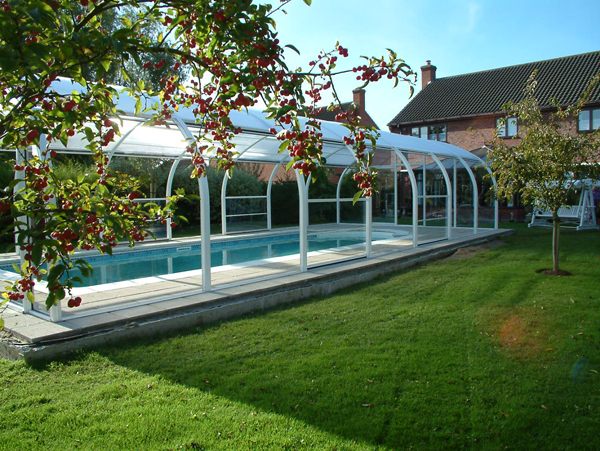 You will receive a complete fixed price package for all swimming pool enclosures which includes design, manufacture, construction and installation by factory engineers.